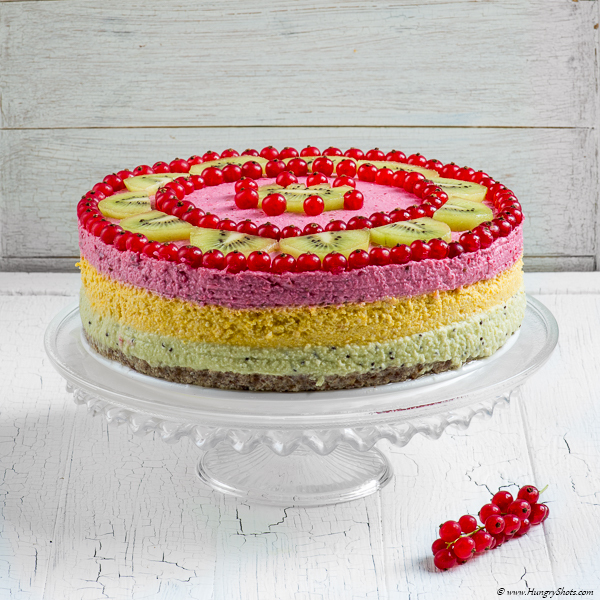 A delicious cake full of colors, full of aromas and not at last, full of healthy ingredients: no sugar, no diary product and no flour. 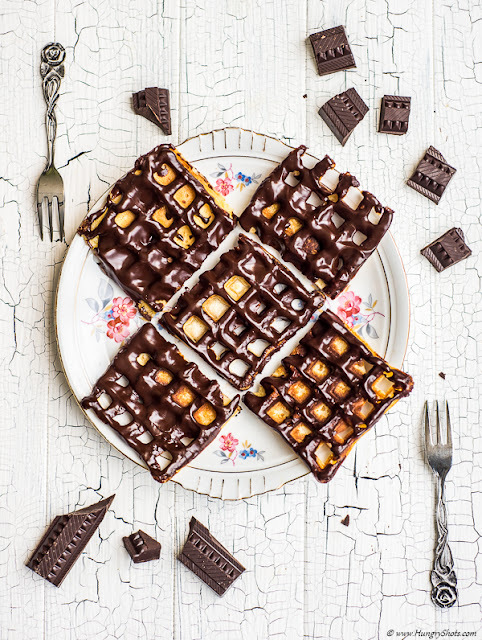 And more, no baking is needed. It can be done any time of the year out of frozen ingredients. Just defrost them first and use them for this cake. Or you can just use the fresh fruits. This cake however is for me more a summer cake. Because of the colors more than ingredients. Since I've made my first aromatic herb bread I simply become in love with these kind of breads. I could not resist to try another one, this time a more specific one with rosemary. When baking, I have succeeded to burn it a little on top but not seriously to destroy its amazing taste. 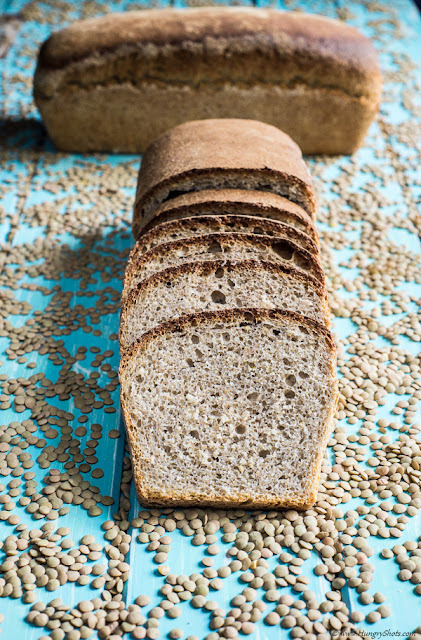 This bread is also enhanced with chia seeds so it gives more nutritive value. What about trying something different? 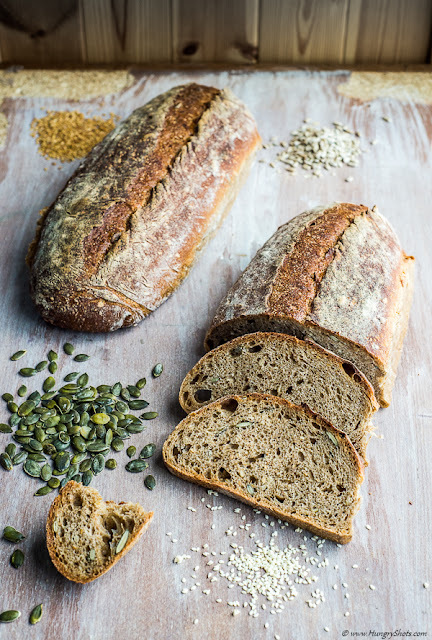 What about using some lentils, ground them and use its flour in a bread? I was looking for a white bread, but not necessary the sandwich type. Adding rice flour made my bread less soft than a a normal white flour based bread. In my opinion the rice flour did not changed the taste of the bread at all. But the texture and the color were affected. It gave a stronger texture and a whiter color. Nevertheless, although different, the bread was eaten almost instantly. 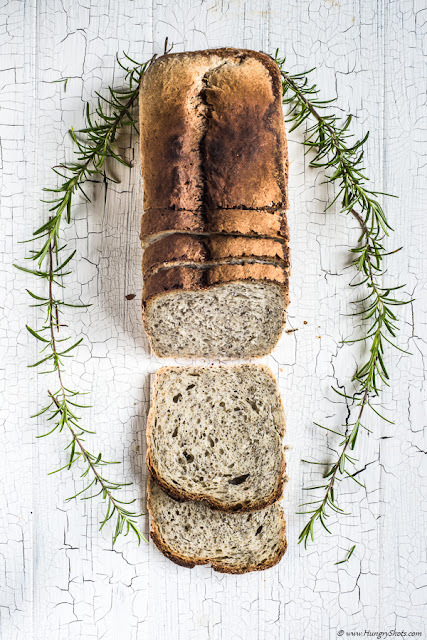 This is a very simple bread with sourdough that can be done by anyone without any bread baking skills or any dedicated utensils like a baking stone or bannetons. A simple cake pan is enough. I wanted to make a different bread than I do most of the time, with a soft texture and a white, milky crumb. And here it is. If you cannot eat the crunchy crust of a country bread type, you might want to turn to this kind of bread. 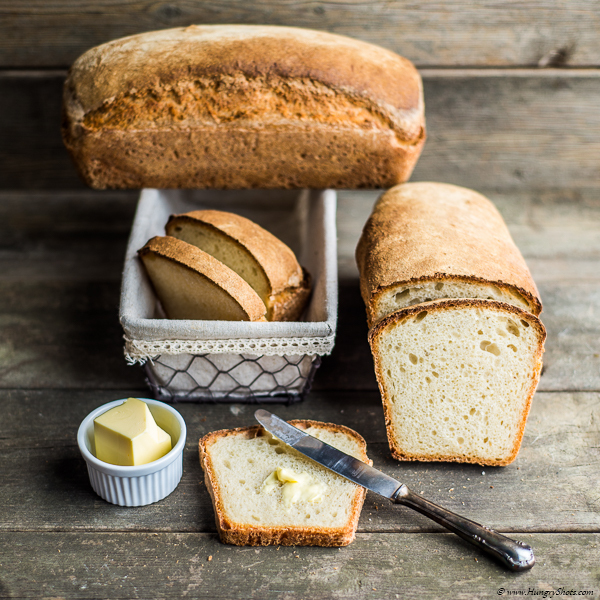 The crust is also soft and it barely distinguish in texture from the crumb. 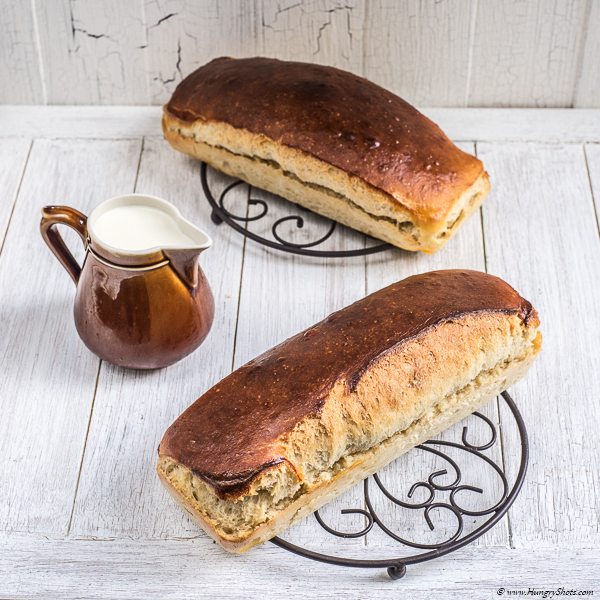 Although it is not my favorite type of bread, it was well appreciated by others who were more used with soft breads. Combine more types of flour for a bread dough. Combine more type of seeds and add them to the dough to make it more rich. Bake this and see what it gets out of the oven. I can bet you will love it.